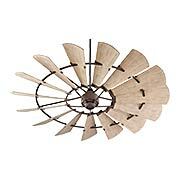 Acanthus leaves decorating the upper housing and the melon shaped shade give the Volterra fan a classic style. 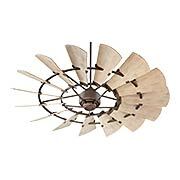 The belcaro walnut finish on the housing matches the natural walnut colored blades and aged champagne glass shade. The full function wall control offers 3 speed settings and a full range light dimmer. 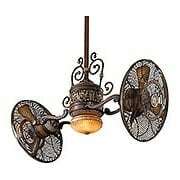 Acanthus leaves decorating the upper housing and the melon shaped shade give the Volterra fan a classic style. 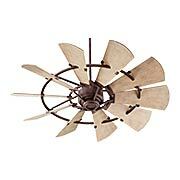 The volterra bronze finish on the housing matches the natural walnut colored blades and french scavo glass shade. 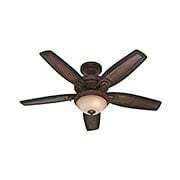 The full function wall control offers 3 speed settings and a full range light dimmer. 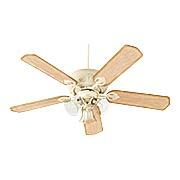 Enhance the beauty of your home with the classic timeless look of the Ainsworth fan. 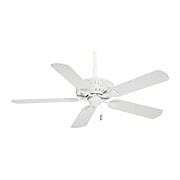 The cottage white housing and blades add a fresh breezy outlook to any room. 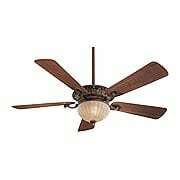 Enhance the beauty of your home with the classic timeless look of the Ainsworth fan. 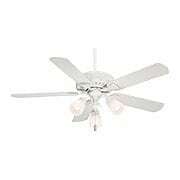 The cottage white housing, blades and snowflake linen glass shades add a fresh breezy outlook to any room. The bold lines of ArtDeco with Classical accents, Levantara is an innovative ceiling fan that combines lighting, air circulation and air- ionization all in one! 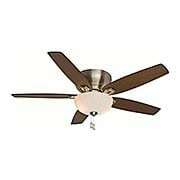 Beautify your home while improving the quality of the air you breath. 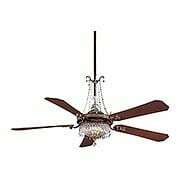 Rich Polished Chrome finish with White drum shades. 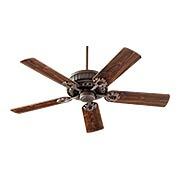 With the sweeping lines of Colonial and fine details of Classical, Brisa is an innovative ceiling fan that combines lighting, air circulation and air- ionization all in one! 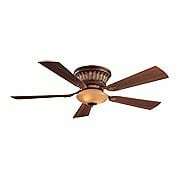 Beautify your home while improving the quality of the air you breath. Rich English Bronze finish with Off-White drum shades. 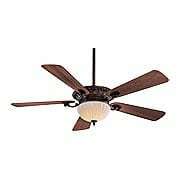 Enhance the beauty of your home with the classic look of the Ainsworth fan. The onyx bengal housing, reversible dark / distressed walnut blades and toffee glass shades add a timeless look to any room. The 60-inch Fellini brings elegant style to a variety of large spaces. Hand-carved wood blades enrich the fan's character, while subtle finishing touches please the eye without overwhelming the beholder. 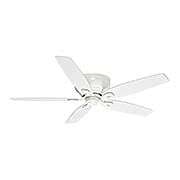 Run by a powerful motor, it handles spacious rooms with ease, is blissfully quiet for zero distractions, and its ENERGY STAR® rated, the highest energy efficiency rating available. 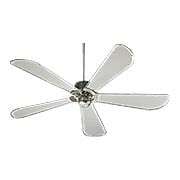 A patented coating on the blades repels dust buildup, meaning less cleaning for you. 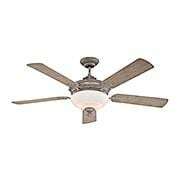 Handsome and dependable, this fan promises years of maintenance-free operation. Comes complete with a four-speed wall control. 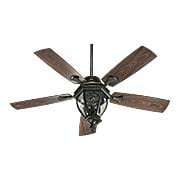 The beautifully appointed Baltic 52-Inch Patio Ceiling Fan combines Victorian-era details with modern functionality. Intriguing details like candle lights, fluted blade holders, and a six-sided glass housing bring a classic street lamp look to this elegant style. With a rust-resistant powder coating and UL listing for wet locations (exterior or interior), it is ideal for porches, gazebos, or other outdoor areas - even one exposed to rain! 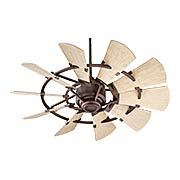 The Georgia 52" Patio Ceiling Fan adds elegant style with vintage overtones to your decor. 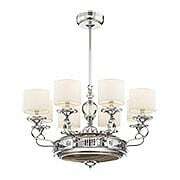 Its transitional design features clear watery glass, leaf-shaped blade holders, and three candle lights. With a rust-resistant powder coating and UL listing for wet locations (exterior or interior), it is ideal for porches, gazebos, or other outdoor areas - even one exposed to rain! 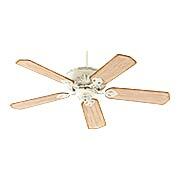 The Windmill 60-Inch Damp-Rated Ceiling Fan brings rustic Americana nostalgia to your decor. 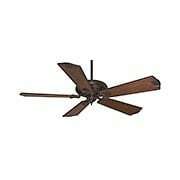 With two finish options, galvanized and oil-rubbed bronze, it's sure to attract attention. UL Damp rated for covered exterior use. 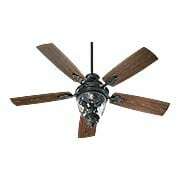 The Empress 52" Ceiling Fan brings bold luxury to traditional interiors. 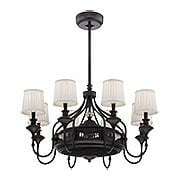 Intricate Victorian details and an array of rich finish options makes it easy to match any decor.